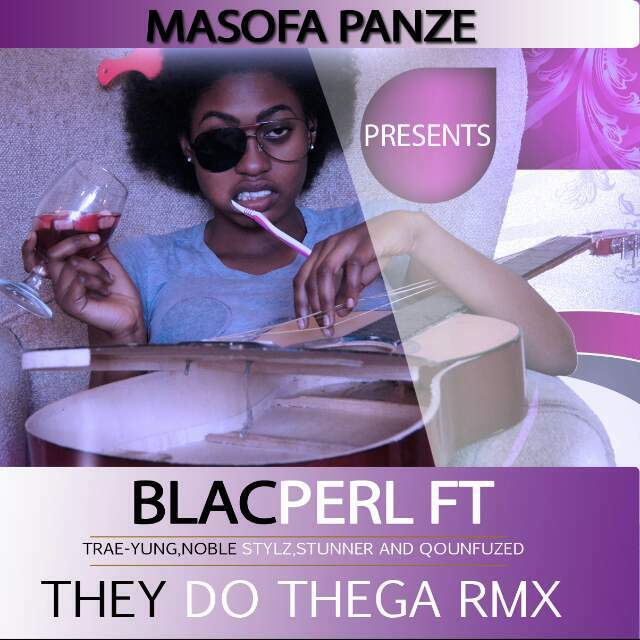 Masofa Panze Queen Blackperl called in some pretty big guns for the remix to her debut single They do thega.Stunner, Trae Yung, Quonfused and labelmate Noble Stylz all came through on the joint produced by Noxa for TMG records though the beat was made by Ikonik Krimz. Stunner's lines will probably get the most attention not because they are better than all the others,but due to the shade he threw at Maskiri. The team shark boss ridicules Maskiri's collabo with Keisha White.He also takes a swipe at Shingy and his Team Bhoo ensemble saying the only Shingy he knows is Kawondera the ball player. Trae Yung and Noble trade bars and their combination didn't disappoint. Trae raps about cooperating with corporates more than rappers and Mr Masofa panze once again stretches Shona to breaking point with vernac wit and flawless delivery. Perl and dancehall chanter Quonfused follow Noble and Trae's style going bar for bar.Quonfused stood out with notable punchlines alien to most dancehall artists.Blackperl is out to introduce autocracy and burn other femcees "simbi" like the blast furnace she is.